Lancaster Door Service, LLC is your local dealer and installer of LiftMaster’s® fine line of commercial garage door openers. LiftMaster’s® Custom Solutions are integrated packages that combine advanced technology features as well as helpful accessories. The three types of garage door openers are Jackshaft, Trolley, and Hoist. 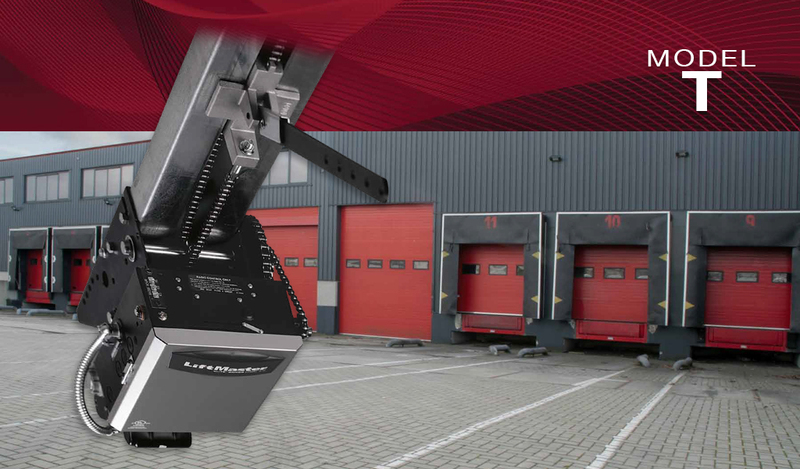 Jackshaft Operators are ideal for industrial applications and doors used with this type of opener should be balanced with the ability to be manually lifted in case of an emergency or power outage. 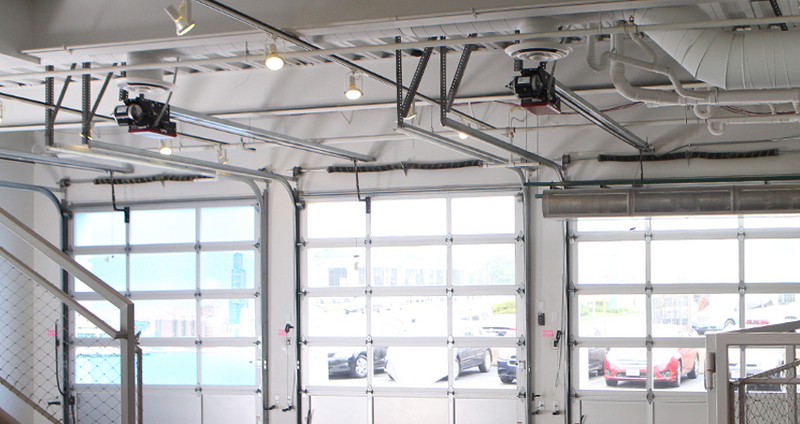 Trolley Operators are perfect for general industrial applications using sectional overhead doors. 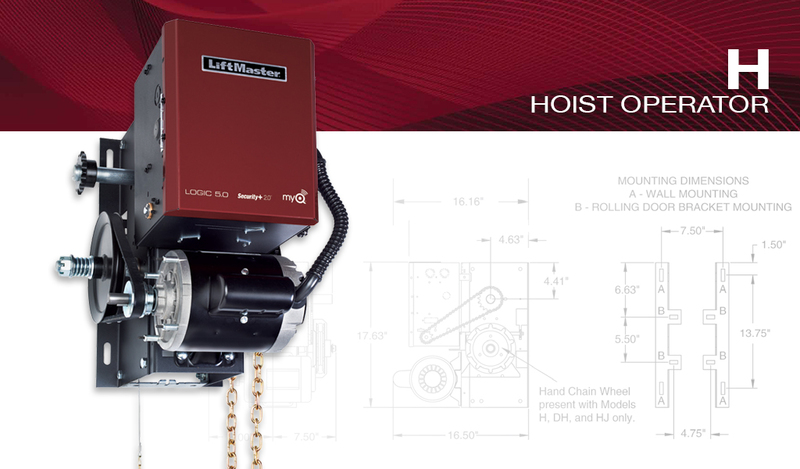 Hoist Operators are best suited for busy industrial applications. Hoist openers include a floor level chain hoist to ease the manual operation of the door in case of an emergency or a sudden power outage. Your commercial, industrial, or agricultural garage door and opener system not only provides access to your business – it also protects your investment and personnel. We welcome you to Contact Us to discuss your opener requirements. Our knowledgeable staff can show you examples from our extensive selection of commercial garage door opener models at our showroom. 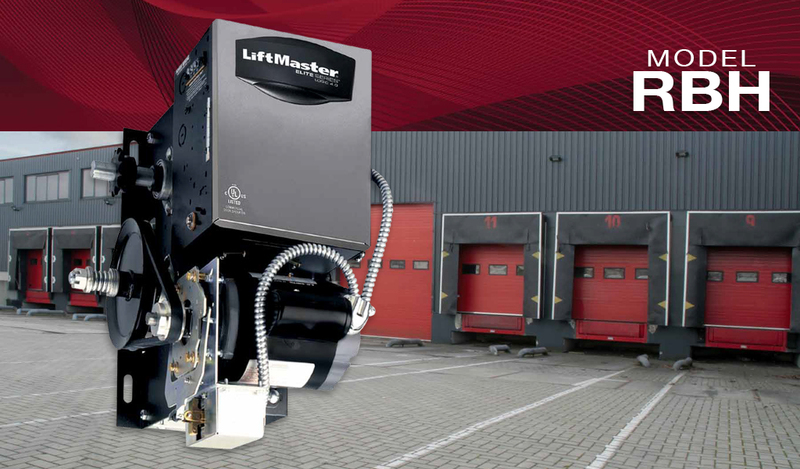 The LiftMaster® 3900 model is for use on light-duty commercial standard, vertical and high-lift sectional doors with torsion assemblies. Its compact design ideal for limited height, cathedral, or obstructed ceiling installations. 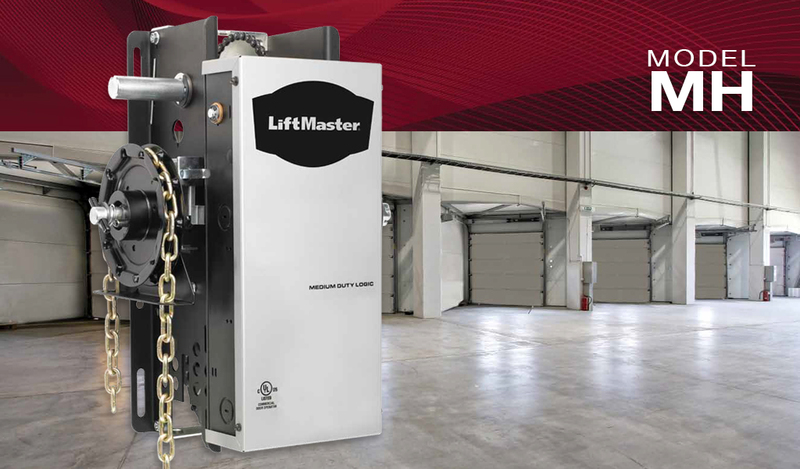 The LiftMaster® ATS model is for use on standard-lift sectional doors up to 14' high and rated for 8 cycles per hour. 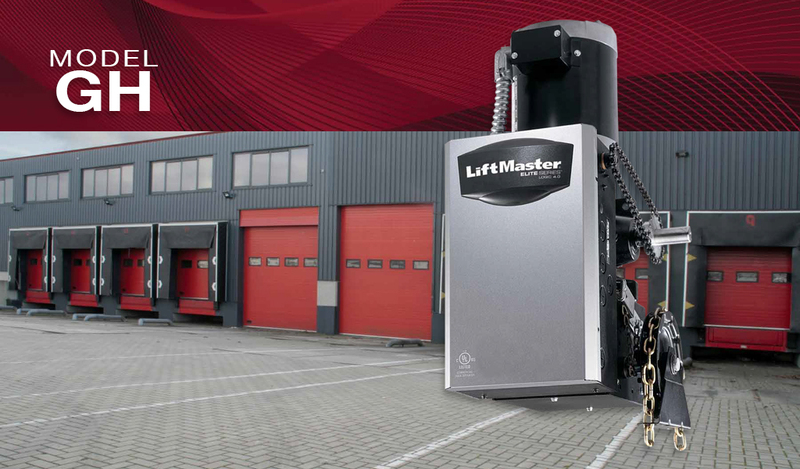 The LiftMaster® MT model is for use on standard-lift sectional doors with an instant reverse feature. It meets safety standards for Monitored Entrapment Capability. 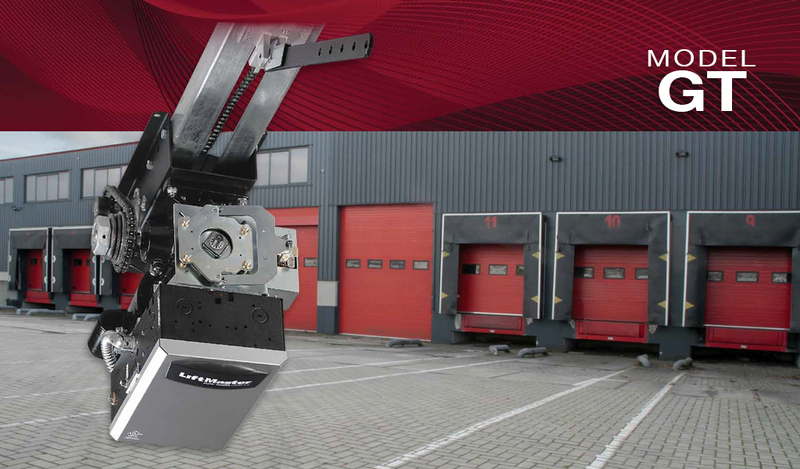 The LiftMaster® MH model is for use on vertical or high-lift sectional doors as well as small rolling doors and grilles. It provides for emergency manual operation with an electrically interlocked floor level disconnect chain hoist mechanism. 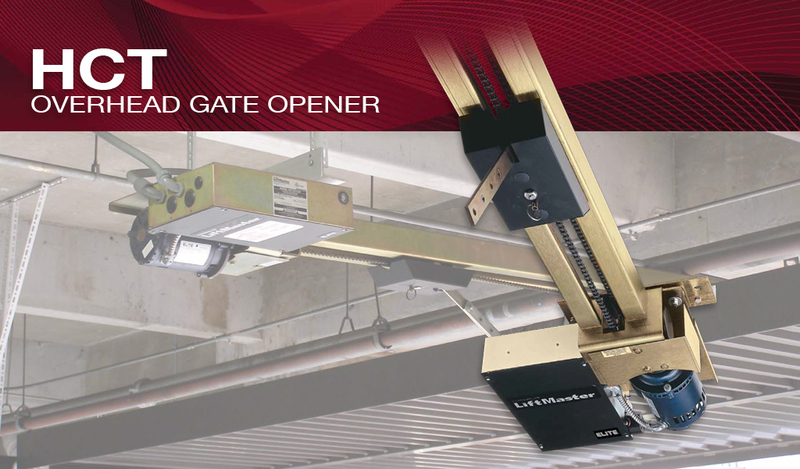 The LiftMaster® MJ model is for use on vertical or high-lift sectional doors as well as small rolling doors and grilles. It allows for emergency manual operation using an electrically interlocked floor level disconnect. The LiftMaster® APT model is a low-profile apartment house door opener for use on standard-lift sectional doors. This model has quiet operation and the low-profile design can be ceiling-mounted for areas with low headroom. 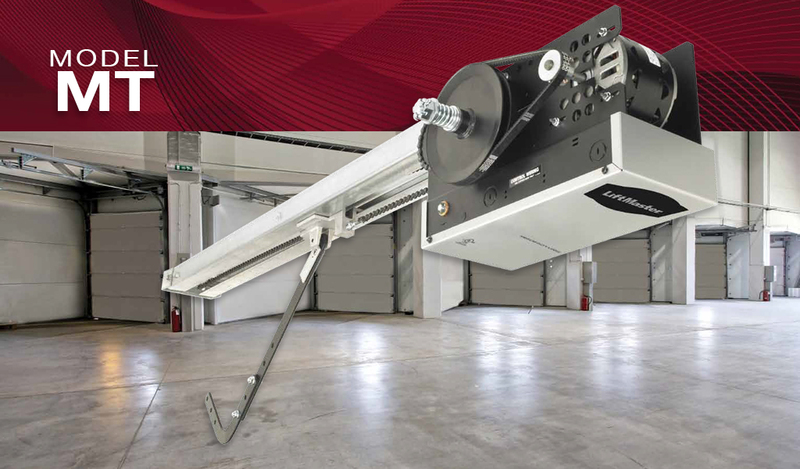 The LiftMaster® T model is for use on standard-lift sectional doors. Its Maintenance Alert System™ establishes a routine maintenance schedule based on the number of cycles and includes a self-diagnostic system that allows one to troubleshoot up to eight different error codes. The LiftMaster® GT model is for use on standard-lift sectional doors. It features exclusive nylon quiet-gliding chain guides on the rail spacers for quiet and smooth operation. 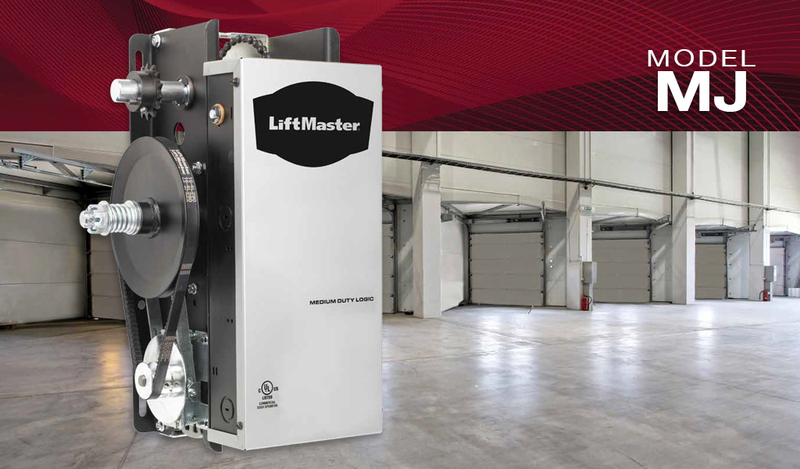 The LiftMaster® GH model is a gear-reduced hoist door opener for use on vertical or high-lift sectional doors, rolling doors, and grilles. It features a floor level chain hoist with electrical interlock for emergency manual door operation. 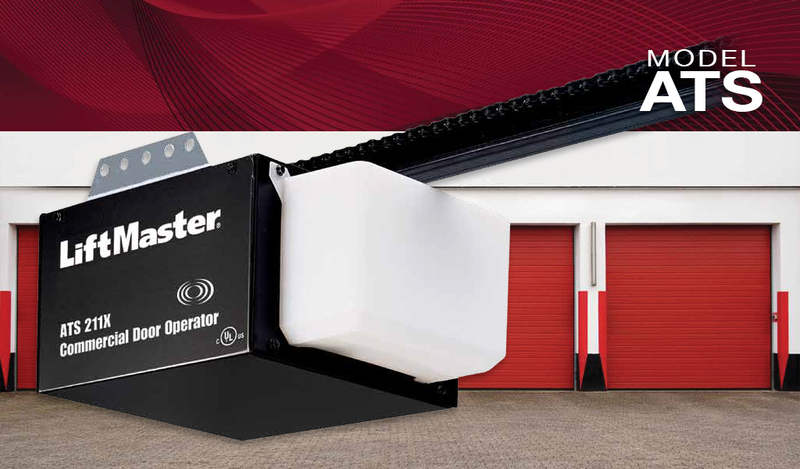 The LiftMaster® RBH model is a chain hoist door opener designed for use on on vertical or high-lift sectional doors, rolling doors, and grilles. It features a floor level chain hoist with electrical Interlock for emergency manual door operation. 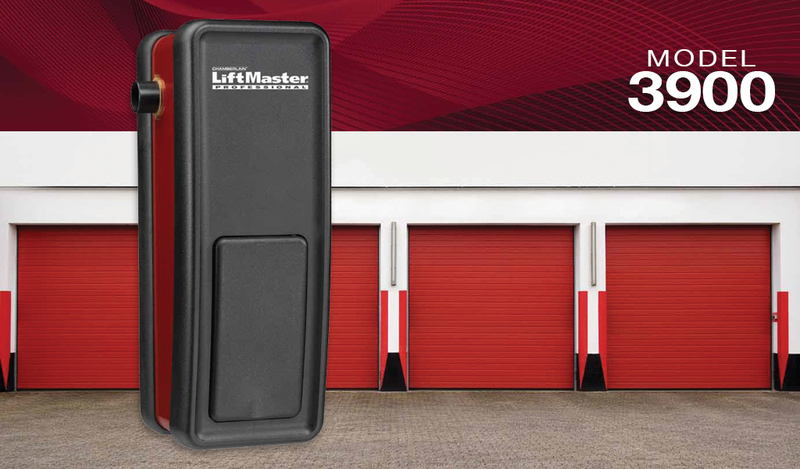 The LiftMaster® J model is for use on vertical or high-lift sectional doors, rolling doors, and grilles. It features a strong universal mount frame design. 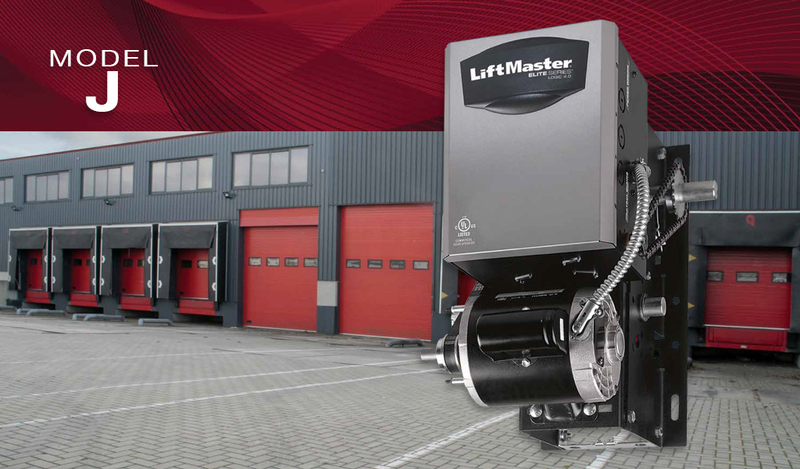 The LiftMaster® H model is for use on vertical or high-lift sectional doors, rolling doors, and grilles. It features a floor level chain hoist with electrical interlock for emergency manual door operation. 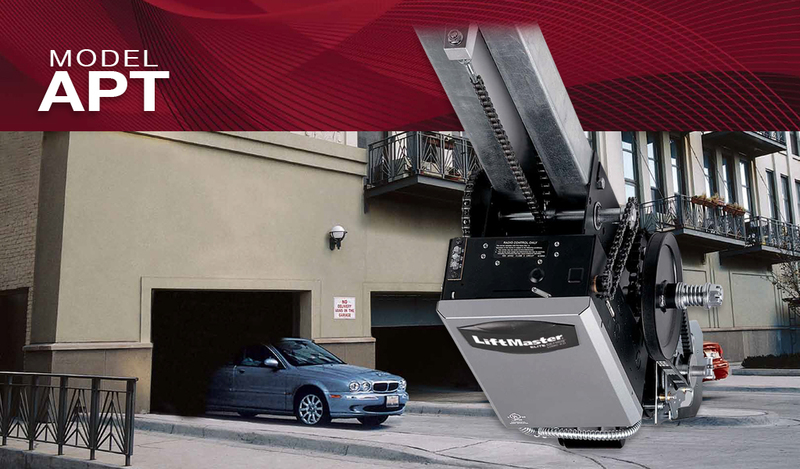 The LiftMaster® HCT model is the ultimate high-traffic door and gate operator for apartment houses and low-profile applications. This model delivers safety, dependability, and quiet operation. It includes a Security+® receiver, built-in electronic reversing device, heavy-duty track and keyed trolley assembly. Lancaster Door Service, LLC sells and installs durable and functional garage doors and openers for commercial, agricultural and industrial applications. We welcome you to contact us to discuss your project. Our knowledgeable staff will review your requirements and show you examples from our extensive selection of commercial garage door opener models.